Start in Athens and end in Corfu! With the discovery tour Greece Island Hopping - Meet Us There (from Athens to Corfu), you have a 9 day tour package taking you through Athens, Greece and 2 other destinations in Greece. Greece Island Hopping - Meet Us There (from Athens to Corfu) includes accommodation as well as an expert guide, meals, transport and more. The worst service for my money. They lied about accommodations and transportation and then did not even refund any money. Complete scam. Do not use this company. Spring Break in Greece was my favorite part of my study abroad experience! I would highly recommend this trip. Our guides, Jenny, Sean, Alex and Reid were awesome! Bus2Alps made the Pink Palace the best place ever!!! My friends and I still talk about it all the time! Alex and Sydnwere the best leaders! The Greece spring break was my favorite week while abroad by far! Our guides were SO much fun, and made it the best experience possible. The destinations were incredible! Our Greece Island Hopping trip includes accommodation in dorms exclusive to Bus2Alps guests. The possibility to upgrade to a private or double room will be considered on a case-by-case basis and will have an extra charge. Is this tour suitable for elderlies? Even though Bus2Alps allows anyone to join their tours, we always like to let our travellers know that they will be travelling with a younger crowd. What is the accommodation used for this tour? The accommodation for this tour is at the Pink Palace. Athens is the starting point and Corfu is the endpoint. TourRadar only requires a deposit of $99 to confirm this Bus2alps booking. The remaining balance is then payable 60 days prior to the departure date. For any tour departing before 25 June 2019 the full payment of $0 is necessary. No additional cancellation fees! 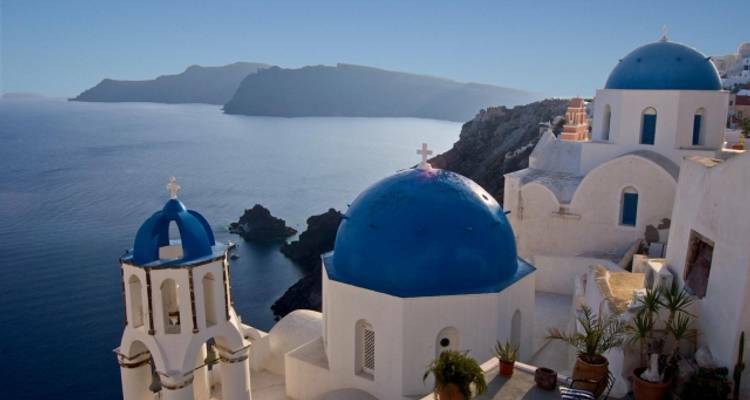 You can cancel the tour up to 60 days prior to the departure date and you will not need to pay the full amount of $0 for Greece Island Hopping - Meet Us There (from Athens to Corfu), but the deposit of $99 is non-refundable. If you cancel via TourRadar the standard cancellation policy applies. Some departure dates and prices may vary and Bus2alps will contact you with any discrepancies before your booking is confirmed. Covering a total distance of approx 842 km. TourRadar does not charge any additional cancellation fees. You can cancel the tour up to 60 days prior to the departure date. If you cancel your booking for Greece Island Hopping - Meet Us There (from Athens to Corfu) via TourRadar the standard cancellation policy applies.